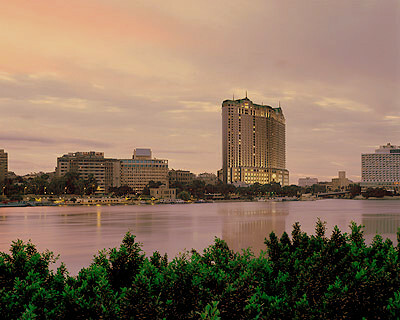 Cairo Weekend Guide: The Last Weekend of Ramadan! With Ramadan come weekends filled with food, Oriental music, shisha and an overall mood that can never be replicated throughout the rest of the year. So take a moment to relish Ramadan 2013’s final weekend! Starting strong, Thursday bids Mawaweel 2013 a sad goodbye in their finale, which will feature a bunch of acts including Basheer and Massar Egbari, at Darb 1718, while the Sufi Jazz Tour arrives at Sufi with performances by Eftekasat and Mahmoud Al-Rannan. No Comment will take to the stage at Y Lounge this evening, while El Dammah Theater for Free Arts sees Nubian band, Rango, return. Poet and Sufi chanter, Abdullah El Miniawy, will perform at Beit El Raseef, while the Cadillacs take over Jazz Mate. Tonight will also be your last chance to check outOstraka’s International Art Exhibition at Dandy Mall, where you can browse the work of over twenty international artists. Meanwhile, in Heliopolis, Saad Al Saghir gets Shaabi at Roof Bar and Mahmoud El Lithy brings his baladi beats to Cavallini. On Friday, Hayy Festival 2013 continues with Casablanca Conservatoire graduate, Khansa Batma, at El Geneina Theater, while Beit El Raseef hosts independent theatre group, El Warsha’s ‘Between My Doubts and His Doubts’, which reflects on the everyday struggles of Egyptians. The Collage Workshop Exhibition at Darb 1718 will also be drawing to a close this evening. This Saturday, Vibe Studios offers a chance for all the musicians out there to network and rock-out at another Open Jam Session. Seeing as this is the last weekend in Ramadan, it will also be the last chance to check out the Oud and Tabla Nights at the Medley. Sohour options are aplenty throughout the weekend, just check out our guide to Ramadan tents for more information on what’s available. For more events, click here.